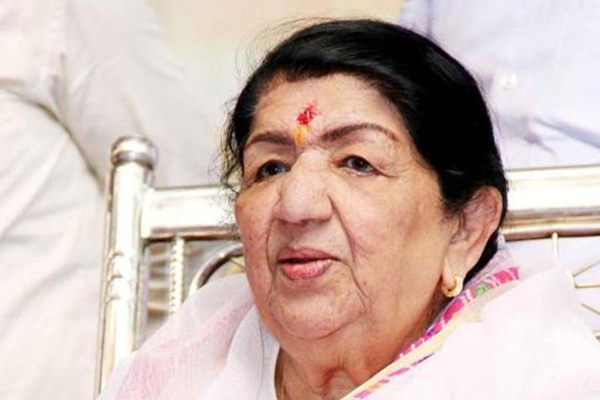 MUMBAI: Melody queen Lata Mangeshkar says that responsible people within the film industry lack taking good care of their artistes in the manner that they deserve. "We tend to forget their contribution just because they are not active any more. This is not right. An artiste is recognized not only for what he or she does today or tomorrow but for all times to come," she said. Last month on the occasion of her father Pandit Dinanath Mangeshkar's birth anniversary, Lata Mangeshkar honoured two artistes from her own fraternity whose work she personally admires. One was Anupam Kher whose die-hard fan she is proud to be. "There are few artistes in our country with his range, versatility and prolificness. He was a young 21-year when he played a 65-year old man in Saaraansh. I truly admire how he slips from one comic character to another serious character to another serio-comic character. Then he flies off to Hollywood to do big American films with the biggest of the actors there. "He writes books, takes acting classes. His energy, enthusiasm and passion are exemplary. I am a big fan of Anupam Kher, and I told him so. It was a great pleasure for us Mangeshkars to honour him with our annual award in honour of my father," says Lata Mangeshkar. While Anupam has been singularly blessed with fame and fortune, not every artiste in Bollywood gets what he deserves. Poet-lyricist Yogesh who has written some exquisite songs in the films of Hrishikesh Mukherjee and Basu Chatterjee finds himself in anonymity these days. "We were as proud and happy to honour Yogeshji as we were to honour Anupamji. Yogeshji has written some very fine songs for me like Rajnigandha phool tumhare( Rajnigandha), Raaton ke saaye ghane( 'Annadata'), Tumne piya diya sab kuch mujhko(Us Paar) and Ae sham ki hawaon unse salaam kehna (Ek Raat). He also wrote one of my all-time favourite film lyrics Kahin dur jab din dhal jaye which Mukesh Bhaiyya sang in the film Anand. "Today's generation may not know about Yogeshji's work. But I think he excelled in ways that are not time-bound," she said. MUMBAI: Making India proud, Indian origin pop sensation RIKA aka (Chandrika Darbari) won the Rising Star Award in London.